Sources inside the Trump Administration and on the Hill who are close to Andy Puzder's confirmation process believe he'll probably survive what has been a very shaky nomination. These are their hard-headed calculations, with anonymity provided to allow for candor. We're tipping the fast food executive gets at least 50 votes, though of course that could change if he has a train-wreck hearing Thursday. Puzder has had just about every problem a nominee can have. He employed an illegal immigrant as a housekeeper. His ex-wife accused him of physical assault then retracted the claim. 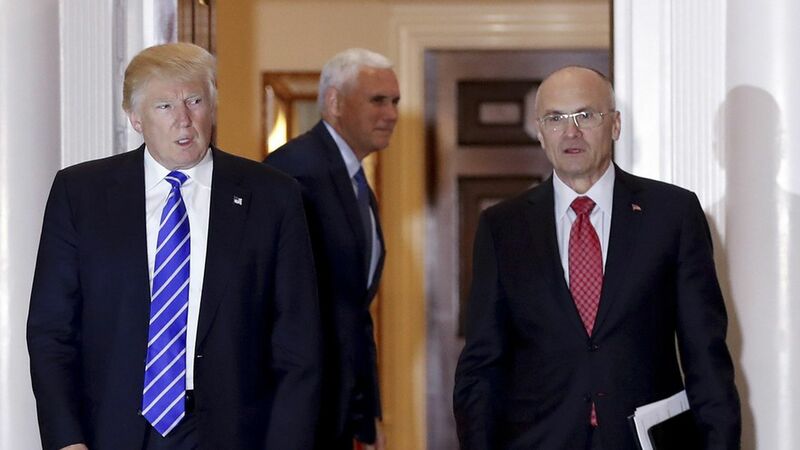 Democrats are charging he'll be bad for workers because he opposes significantly raising the minimum wage and because of wage violation claims against CKE Restaurants, the company Puzder led. Democrats are set to oppose Puzder en masse, meaning the vote could be as close as the recent one in which Vice President Mike Pence had to use his tie-breaker vote to confirm Education Secretary Betsy DeVos. The Washington Post reports that at least four Republican Senators are withholding judgment on Puzder: Susan Collins of Maine, Johnny Isakson of Georgia, Lisa Murkowski of Alaska and Tim Scott of South Carolina. He's a Republican donor and leaders like Mitch McConnell and Tennessee Sen. Lamar Alexander — who heads the Senate committee overseeing Puzder's hearings — are genuinely behind him. They're not begrudgingly pushing through one of Trump's guys. Puzder is one of their own. Republican opposition is weaker than it appears. Sources close to the process aren't as worried as we thought they'd be about the Senators named in the Washington Post piece. Even the story itself suggests that at least two of them — Isakson and Scott — are withholding judgment more out of deference to process than due to immutable concerns. The Republican leadership of the Senate's Health, Education, Labor and Pensions Committee — which will question Puzder on Thursday — has learned from the rocky nomination process for Betsy DeVos. Sen. Alexander has wisely thrown a bone to Democrats on the committee. This time he waited for all of Puzder's ethics paperwork to come in before holding the hearing.